We offer a couple different options for outdoor uplighting. 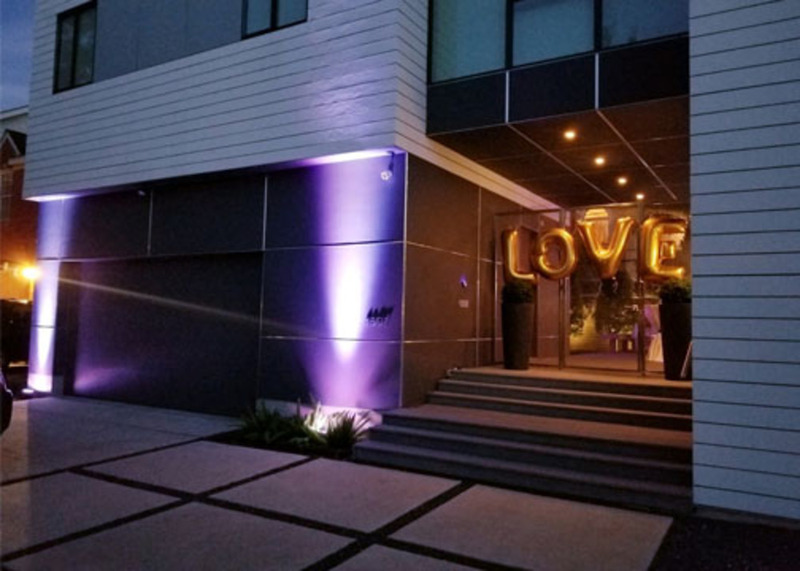 You'll want to make sure that the uplighting you rent is rated for safe outdoor use. This photo shows 2 of the chauvet par 56 outdoor uplights setup. These fixtures work great and are very durable for outdoor use.